HTC has announced that the Deluxe Audio Strap, announced back at CES, will be available starting 6 June. For HTC Vive users this is going to be much-welcomed addition to the system, as right now the means of fixing the headset to your face are a little... make-do. The strap works, but it's not as comfortable compared to the Oculus Rift and PS VR. No longer though, as the Deluxe strap has a more ergonomic design and integrated headphones, as you may have guessed from the name. It balances the headset a little better on the head (we tried it out earlier this year) and makes the Vive feel a bit more polished overall. It's also easy to adjust to different sizes and get a nice comfortable fit around your head. The strap costs $99.99, and you can read more about it on the HTC Vive blog. It's interesting to see HTC upgrading the Vive through accessories rather than big system iterations. It recently announced a real-time eye-tracking accessory, a pair of lenses you'll be able to buy separately and pop into the headset. And of course we have the trackers, which turn any real-world object into an instrument for VR. 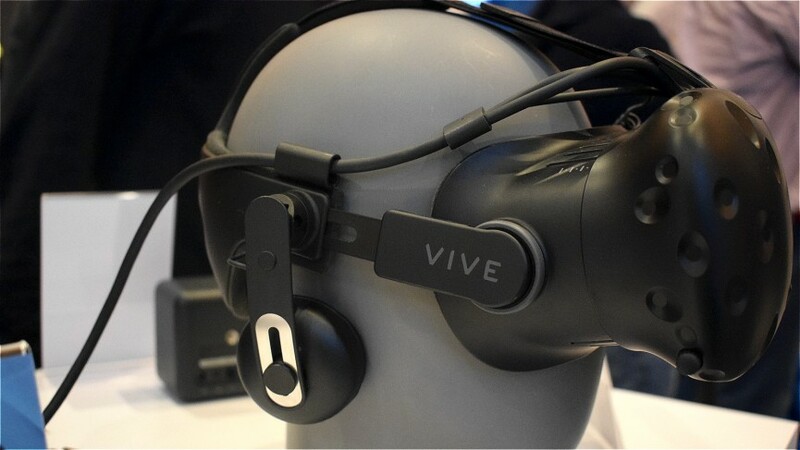 HTC's modular approach to virtual reality is gradually unfurling.